Techerator is an excellent source of tips, guides, and reviews about software, web apps, technology, mobile phones, and computers. Every year companies push the limits of digital art and in some cases it gets harder and harder to distinguish digital art from hand made. Here are some of this year’s best products that you might consider getting for the digital artist in your family. Earlier this year Wacom rebranded its product line and made the consumer line the new Intuos line. 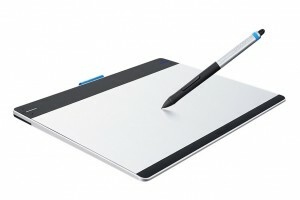 With the new name comes a new design and one of the best drawing tablets I have ever used. It comes in two sizes and any digital artist would love one of these. For years Corel Painter has been the best natural media paint program on the market and this year Corel has updated it to version X3. With X3 comes new features like perspective drawing, easier photo painting, and a ton of new brushes. It is also faster than previous versions. It isn’t cheap, but if you can afford it this is a great gift. 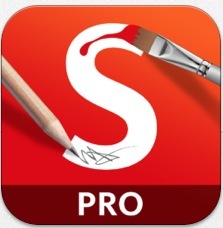 In my opinion it is the best version of Painter yet. There are several Bluetooth styluses for the iPad on the market today that claim pressure sensitivity. I have tried several and the Jot Touch by Adonit is the only way that does what it says. It has pressure sensitivity that works through several iPad apps that have built-in compatibility. For any artist working on the iPad this is a fantastic gift. If you are going to get the aforementioned Jot Touch for a gift, the recipient is going to need an app to use it with. Sketchbook Pro is one of them. The Jot Touch works great with it and the app is great even without the stylus. It is one mod my favorite drawing apps on my iPad. For the young digital artist in your family there is a collection of fantastic digital tools/pens available by Crayola through the company Griffin Technology. There are many different Crayola tools from drawing to airbrush to painting. 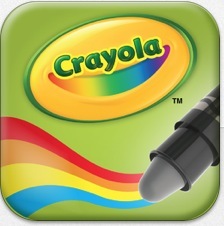 They come in the form of pens/styluses and work with Crayola apps that are available for the iPad. Many of these apps are free and work without the pens, but the pens are needed to unlock extra features. This is a great way to support the young digital artist. With this guide, whether you are shopping for a pro artist, hobbyist, or a young artist in your family, there are plenty of options at different price points to choose from this holiday season. This holiday season, a lot of children will be getting iPads or iPad minis for presents. I suspect iPad minis will be the more popular of the two. For those that do get an iPad mini here are a few accessories you might want to get with the mini. Generally speaking, I’m not a fan of cases. I think they bulk up a phone or tablet, so I don’t have one on my iPhone or iPad. However, in the case of a young child, I highly recommend a case. You want one that can handle a good drop or bump. My recommendation is to purchase a “hybrid” case. It isn’t fancy or expensive, but it has a plastic shell on the inside and a rubber outer case. There is ample space between the screen and case from to protect of from a screen first fall. Plus all of the buttons are protected, but easily accessible. Screen protectors are another protection gift you want on a child’s iPad. There are plenty of them out there. Like the case, this does not need anything fancy. If you want to spend $25 on a screen protector go ahead. However, there are plenty of protects for under ten dollars and you can usually get them in a three pack. Every child is going to want to dive right into the App Store. An iTunes gift card would be good for this. You can either apply it to your account or make an account for the child and let him or her know the password. Set the account to a minimum limit using parental controls and only allow the child to make purchases with money in the account. If they burn the card on Smurfberries it is their loss, but no charges are made to your credit card. Another great accessory is the IPEVO Pad Pillow Stand for the iPad Mini. I recommended the larger model last year and this one is just as good. It is made for the iPad Mini, but it even holds a full iPad. 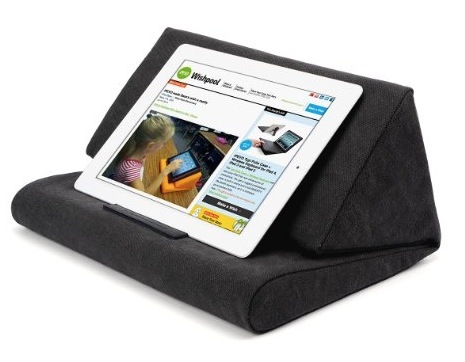 It is basically a pillow that holds your iPad. It works great on a lap or the floor or almost any surface. It has multiple configurations and I love it. Finally, and following in the footsteps of my previous suggestion, is the CinemaSeat for the iPad Mini, which is a case that straps to almost any headrest in a car. (Last year, I suggested the full sized version of the CinemaSeat). The child sitting behind that headrest now has a screen in front of them to watch shows on as if it was a built-in DVD player, for a lot less money (not counting the iPad). By using the CinemaSeat they aren’t falling asleep while watching the iPad Mini on a long trip and dropping it to the floor as the do so. This works great and couldn’t be easier to use. Overall, an iPad mini is a great gift. It can be educational and fun at the same time. These gift can help that fun and help make the fun last a little longer by protecting your investment. Every year there are more and more products for the iOS market, and this year is no different. Here are some of the best products I tried this year that would make great gifts for any iOS user in your family. For the person that is constantly running out of storage space on their iOS device the Sandisk Connect Wireless Media Drive is great. It wirelessly adds 32 or 64GB to your device for storing anything from videos to photos to documents. You can play music and video right through the device through its free app available in iTunes. It even will store and play iTunes DRM protected content. 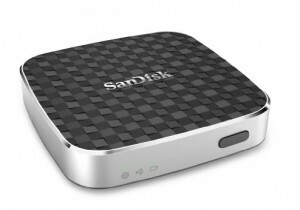 The Sandisc Connect drive even creates a wireless network of its own to transfer data to your device. My favorite feature is the SD card reader, which lets you download and transfer photos to your device through the Sandisk without storing all of them on your iOS device. It’s a great product. For those needing a little less storage than the Sandisk Connect Wireless Media Drive mentioned above, check out the Wireless Flash Drive by Sandisk. This device comes in 16 and 32GB models and does the same thing as the Media Drive without the card reader feature. Either of these would be great gifts. Adonit makes some of the best styluses on the market. I love the Jot Touch, but for those who just want a nice stylus without extra features, like pressure sensitivity, the Jot Pro is a great choice. 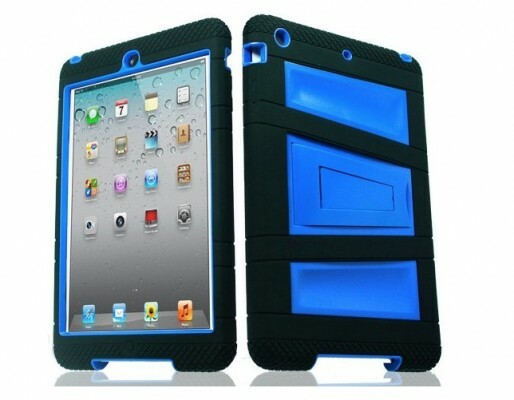 It looks like great and magnetically attaches to your iPad or iPad mini for easy transport. 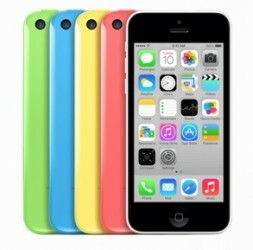 The iPhone 5C seems to get a bad rap, but I think it is a great phone. It is slightly better than the iPhone 5 and it not only looks great, but it feels great in the hand too. If anyone in your family is looking for a new phone as an upgrade or is switching from a standard to smart phone this is a great choice at a great price. If you look hard enough you can even find these for about $40 in the 16gb version. If you have an iOS device, you most likely use iTunes and the App Store in some fashion. An iTunes card is a great gift that comes n a variety of amounts for your budget. These days you can get them almost anywhere. You can even send one straight through iTunes. There you have it: a variety of options for the iOS user in your family. From the iPhone to iPod to iPad, you can be covered with something on this list.